You have come to know Grotto Pizza as the place to go for fine dining and great pizza, but now it will be known as the place to have a great cruise. Hi-Lites rounded up the troops and visited Grotto Pizza this past Saturday afternoon and participants traveled from as far as New York to join us. What a great day it turned out to be. We will definitely be back next year. 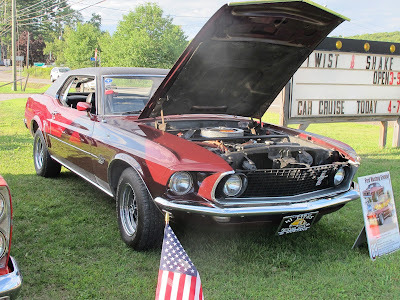 We had over 40 cars show up and we gave away about eight door prizes and four trophies.